Joyce Stover Plumer, age 80, passed away surrounded by her family on January 13, 2019 at her home on Grandview Road. She was born on June 20, 1938 and from that day forward she constantly nourished people with her love, kindness, and faith. Joyce was born in Oil City, attended St. Joseph Grade School, and graduated from St Joseph High School in 1956.
when she lived Erie and worked at the Lord Corporation. Joyce worked as an executive secretary at Pennzoil until marriage. St. Joseph’s church, and from that marriage she had two loving sons. Her first born, Sam Plumer is married to Marie Plumer, and they have four children Steven, Katie, Luke, and Gabbie. Her younger son, Peter Plumer has two children Madi and Sarah. After her children were grown, she worked as a secretary at Our Lady Help of Christian in Siverly and was an active member in St. Joseph’s Parish. Joyce also enjoyed playing tennis, ice skating, and she bowled for many years with Hilltop Keglers at Seneca Lanes. Throughout her life, Joyce was committed to her faith. 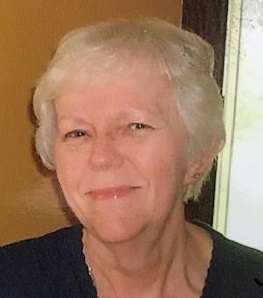 She was a regular attendee at Sunday and daily Masses, and was active in parish and faith life, serving on Parish Council, Prayer Chain, Catholic Daughters of America, Pennsylvanians for Human Life, the annual Festival, The Rosary Society, lay ministry and numerous other parish activities. Joyce also worked for many years during the primary and general elections as a poll worker. Joyce was preceded in death by her parents Gerald and Margaret Stover and her siblings, Jonie Reger, Judy Leins, Jolly Guth, twin brother Jerry Stover, James (Bernie) Stover and Buddy Stover. She is survived by Jack Stover and his partner Fred Prescott of Fort Myers Florida, and many special nieces and nephews, and her dog, Sadie Mae. The Reinsel Funeral Home is in charge of funeral arrangements. Visitation will be held on Wednesday from 2:00 to 4:00pm and 7:00 to 9:00pm. The Right of Christian Burial will be held on Thursday at 10:00am at St. Joseph Church in Oil City, followed by internment at St. Catherine’s Cemetery in Titusville. In lieu of flowers, donations may be made to Venango VNA Foundation for Hospice; Precious Paws Animal Rescue; or St Joseph’s Church of Oil City.